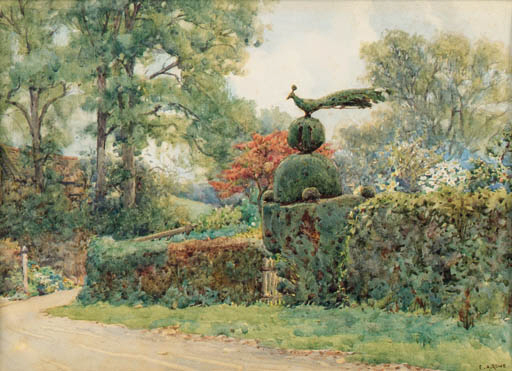 Ernest Rowe was a landscape painter, living in Lambeth and Tunbridge Wells, who exhibited from 1885 at the Royal Academy, Suffolk Street, New Watercolor Society, National Gallery and elswhere. He had a one-man show of his watercolors at the Greatorex Galleries, Grafton St., in 1921, of which The Connoisseur commented: "Mr. E.A. Rowe arranged an attractive exhibition of watercolours in his accustomed metier. His drawings of old-world gardens are always pleasing and evince marked sincerity of purpose. Bibliography: Connoisseur 59 1921 p. 248; American Art News 10 1922 No. 20 p. 6.